Recently I was asked to prepare a short course for the module, "Selected Chapters in Astrophysics" at Charles University on any topic of my choosing. I've decided to convert this into an online format so that more people can endure this tediously educational exercise. The original PowerPoint file can be found here, but in these blog posts I will try and present what I actually said in a more coherent way. So these posts should form a standalone version that can be read independently. Note the extensive use of hyperlinks which provide carefully-chosen sources that explain various aspects in much more detail. This course is aimed at Master's level students; in its original format it was six hours in length. I will assume that you already know the basics of what a galaxy is (a system of stars and/or gas and/or dust embedded in a massive dark matter halo), orbital dynamics and have some knowledge of the interstellar medium. The intention of this course is to present a rather different view of galaxies that one typically encounters at undergraduate level : instead of examining the minute details of individual objects, I will try and present them as a living, dynamic population that exist very much in the context of their environment. 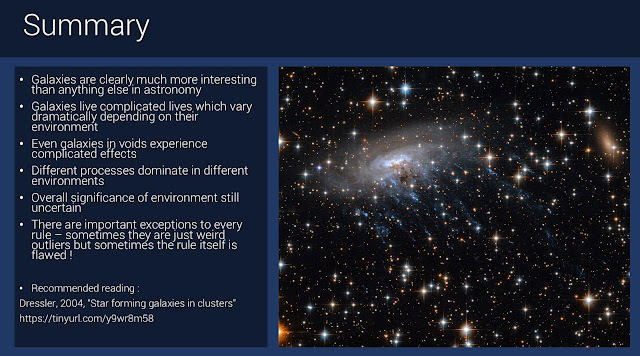 Essentially, it's the course on galaxy evolution I wish I'd had during my degree. I've called this "the dark side of galaxy evolution" as I shall particularly focus on the optically-invisible gas component of galaxies that is so crucial to their evolution, and, especially in the last two lectures, the role of dark matter in galaxies and the various controversies that plague the standard model of cosmology. 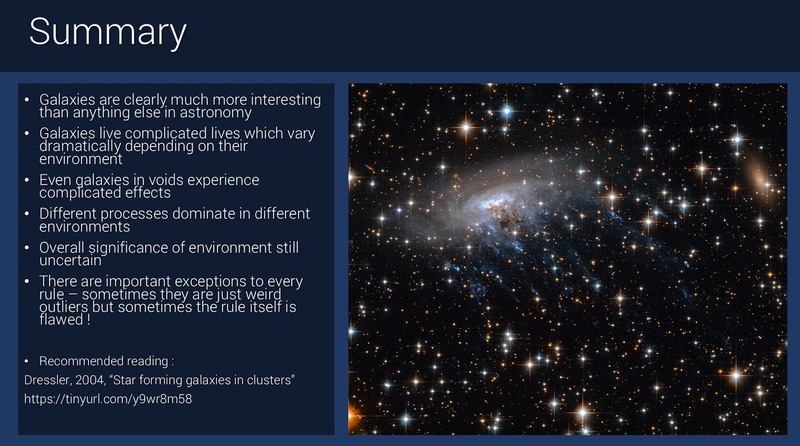 Part 1 presents an overview of galaxies as a population, reviewing the different environments they inhabit and the various different external processes that affect them. The goal is to develop a conceptual, intuitive but also quantitative framework with which to envisage the galaxy population. This will be the easiest part of the course (there are no equations here) but also the most important. The essence of this lecture is to state what we know about galaxies with some high degree of confidence, keeping the controversies and techniques to a minimum. Part 2 will be about how we know what we've concluded about galaxies. It will be a very practical guide on how to do aperture photometry and HI spectroscopy. It will also review what we can measure directly as opposed to what we have to infer, the uncertainties present, the subjectivity of certain measurements and why that is by no means automatically a bad thing. Part 3 will take a more philosophical leaning, focusing on why we know what we think we know but grounding everything in real examples to provide more details of galaxy evolution theory. I will present how simulations, contrary to expectations, are not always easy to interpret despite having full knowledge of the simulated realities, as well as how simulations and observations are sometimes more advantageous than the other. Only by using both in combination can we hope to understand galaxies. 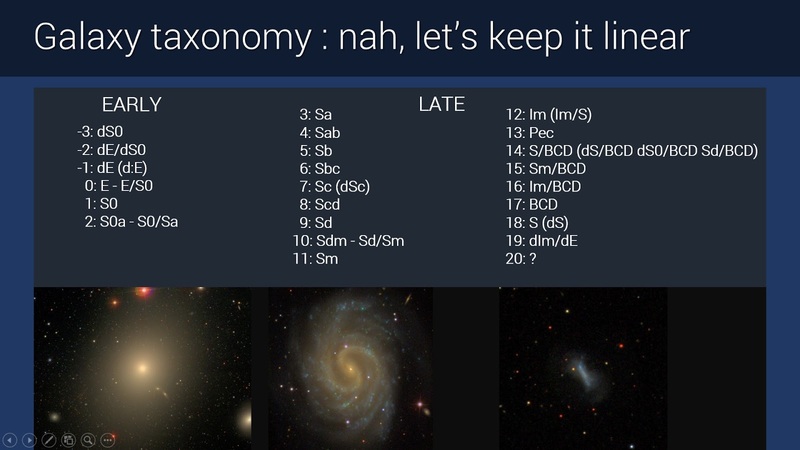 Part 4 will examine what we don't yet know about galaxies, looking in more detail at some of the controversies surrounding galaxy evolution and cosmology - especially in the dark sector. I will present how different observers sometimes reach different conclusions from the same data, review what progress has been made in this area (so as not to leave the reader with the impression that the whole affair is in a state of mystery) and what might be done in the near future to resolve some of these difficulties. It's difficult to define when studies of extragalactic astronomy began. Andromeda is visible to the naked eye, so has been visible for many thousands of years (and it would have been even clearer in ancient times due to the lack of light pollution). But as a science, it's fair to say that modern studies of extragalactic objects as a population begin in the 18th century. Caveat : this little overview of the history of extragalactic astronomy is not intended to be complete or even entirely accurate. Rather the goal is to give the overall flavour of how the topic has developed. I'd be very interested to hear of any earlier developments or corrections to what I present here. Probably the first attempt to catalogue these objects was that of Charles Messier from 1771 onwards. Messier didn't know what these "nebulous" objects were - he was interested in comets, which also had a fuzzy, nebulous structure. Having a catalogue of known, fixed nebulae meant that whenever he discovered a potential comet, he could quickly check if it had already been determined to be one of the static nebulae (whatever those might be). This was actually successful, with Messier discovering 13 comets over the course of his life, so his catalogue was used for its original purpose. Around the same time, others were speculating as to the nature of the nebulae. Isaac Newton had proposed, decades previously, that matter on the very largest of scales could be organised into discs - based purely on his theory of gravity*. The German philosopher Immanuel Kant coined the term "island universes**" to describe stellar systems existing in isolation from one another, like islands in the ocean. 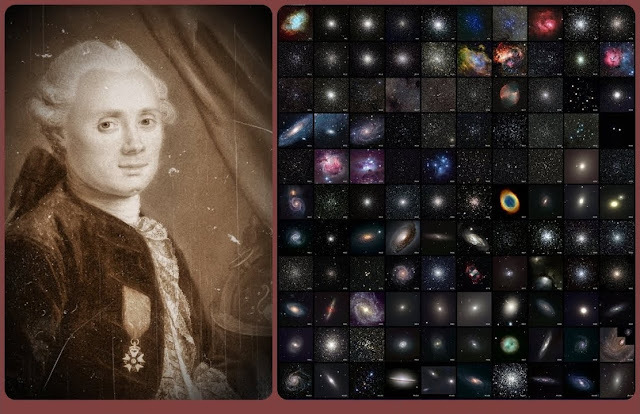 Thomas Wright had produced a theory of the Milky Way as a disc of stars, and by the 1770's the Herschel's (siblings William and Caroline) were much in favour of this idea. * This I learned from a professor in Cardiff many years ago - if anyone knows the source material, please get in touch. ** The meaning of "universe" is ambiguous. In astronomy the main contemporary usage (which I shall adopt throughout) is to the system of spacetime which we inhabit; the meaning, "the absolute whole of reality" has generally fallen out of favour. Thus other universes today can refer to other realms of spacetime inaccessible to our own, but clearly in Kant's day the usage was different again. At one point, William Herschel in particular was so taken with the idea of island universes that he claimed to have discovered, "fifteen hundred sideral systems, some of which might well outvie our Milky Way in grandeur" - astronomers at the time being far more melodramatic in their publications than they are today. But the idea waxed and waned in popularity. Instruments of the day were limited, and resolving the island nebulae into stars was often too great a challenge. Of course, today we know that some nebulae are those of the modern sense of the word : comparatively small gas clouds that exist wholly within our own Galaxy*. The discovery of these purely gaseous systems did not lend credibility to the island universe hypothesis. * By convention in astronomy, galaxy with a lowercase g refers to any galaxy, but Galaxy refers specifically to the Milky Way. Clearly suggesting that anyone who disagreed must, by inference, be incompetent ! Very decisive language indeed. Well, screw you Agnes ! You're wrong ! And this really is true. Imagine that you possess only very limited observations of a fuzzy smudge on the sky - how can you possibly decide if it's small and close or large and far away ? Answer : you can't. You need more data. By 1920 much (but not all) of that data was available, but it was still very new and uncertain. 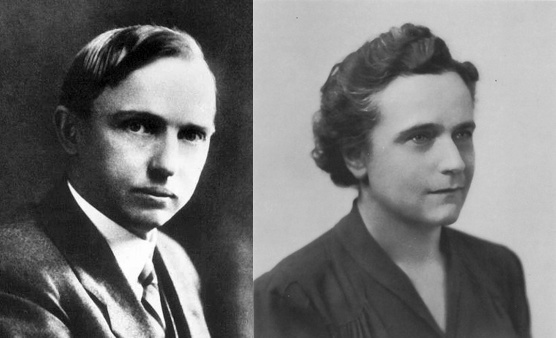 Leading the charge for the "these are small" idea was Harlow Shapley, who was also assisted in his observations by his wife (and a published astronomer in her own right) Martha. Shapley argued that if the nebulae were very distant, they'd have to be very distant indeed. Additionally, some observations seemed to indicate that the Andromeda nebula was rotating - not in the way we would measure today through spectroscopy, but by actually watching things moving in real time. This would be ludicrous if it was at the great distances that were being proposed for the Island Universe hypothesis. Harlow and Martha Shapley; Harlow being the major player in the Debate itself. The rotation turned out to be a completely erroneous observation, but his other arguments may seem weirdly tautologous to us today. Surely, if the evidence suggests that galaxies are large and distant, then that's just what they must be, regardless of the numerical values required ? The problem is that at the time this required a massive conceptual leap, transforming the size of the Universe by a factor of millions based on some fuzzy grey smudges in the sky. The claim was, at the time, extraordinary, and it was not yet established the evidence was itself correspondingly extraordinary. It was just too new - and mistrusting new evidence is always wise. Alas, Shapley trusted the new evidence of rotation in Andromeda more than the also-new evidence that the galaxies were distant objects. It didn't help that Shapely had miscalculated the size of the Galaxy, estimating it to be about three times greater than the currently accepted value. He also estimated that Andromeda would be about 50 times further away than modern measurements indicate. So in his view, the conceptual leap required was even greater than it needed to be. To his credit, however, he'd estimated the Sun to be in approximately the correct position within the disc, albeit in relative terms. His opponent, Heber Doust Curtis, also made mistakes : he'd underestimated the size of the Galaxy, and correspondingly his view didn't require quite such a massive leap in thinking. But he'd also noted that Andromeda appeared to be both similar and different to the Milky Way. It had dust lanes just like our own Galaxy, but it had more novae. This suggested that it was qualitatively similar but quantitatively different. He also noted that spectroscopic observations of the nebulae showed that they were receding from us at > 1,000 km/s, strongly suggesting that they couldn't be part of our own Galaxy. Shapley and Curtis were both intelligent, well-informed and friendly individuals who believed the evidence led to different conclusions. In my view, it's perfectly possible for such people to reach different conclusions - and in those cases the truth usually does lie somewhere in the middle. Both of them made mistakes. Both of them chose to trust credible evidence differently : there was perhaps no small amount of luck involved. But ultimately, we have to declare Curtis* the winner. The main point of the debate was simply to establish the existence of any other Island Universes at all, which was settled a few years later by Edwin Hubble's distance measurements to nearby galaxies. 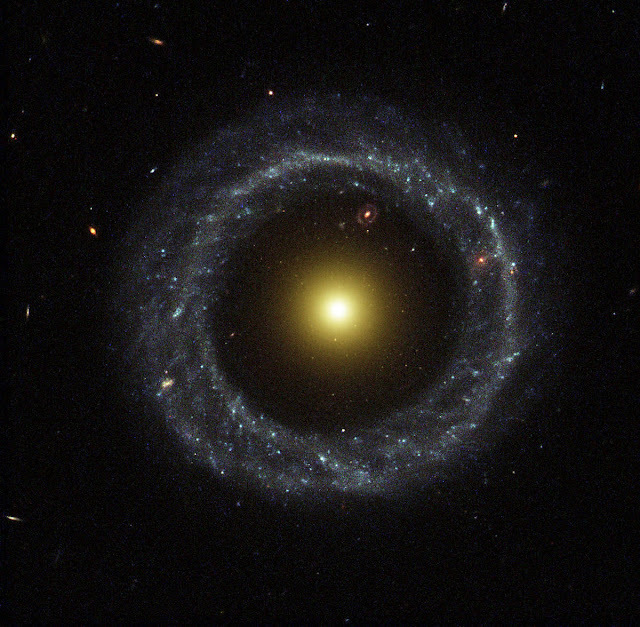 Shapley, being a good scientist, changed his mind according to the evidence and and reportedly called Hubble's report, "the letter that destroyed my Universe". He remained a prominent astronomer for decades afterwards. * Shapley was 35 and Curtis 48 at the time of the Debate, which rather goes against the popular notion that you have to wait for one generation to die off before new ideas become accepted ! 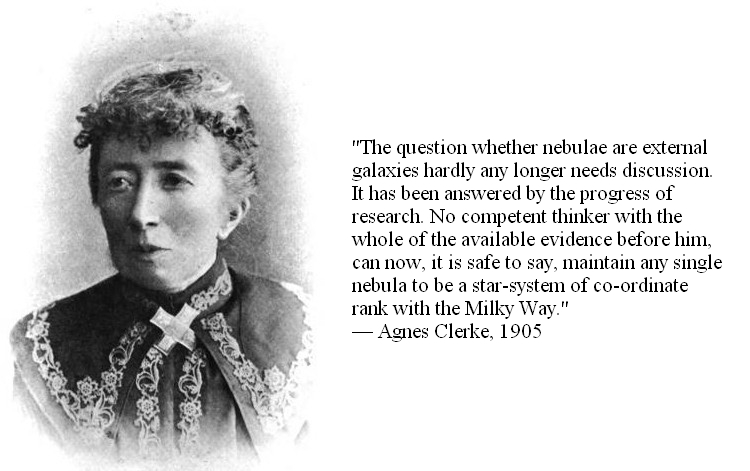 It's worth reviewing a few other key developments in the history of astronomy. Seen by politicians and historians, the 20th century is a horrible affair, fraught with bloody wars and death. But astronomers have a much happier time of it, with the worst that happened in astronomy being the occasional row. 1916 : Einstein "blunders" general relativity. His theory showed that the Universe should be expanding or contracting, but not static. Due to his prejudice from the prevailing wisdom of the time, he fudged his equations to allow a static Universe. But it seems that he never actually used the famous phrase, "biggest blunder" - he thought it was a mistake, but not the worst of his life. 1928 : Hubble ends the Great Debate. 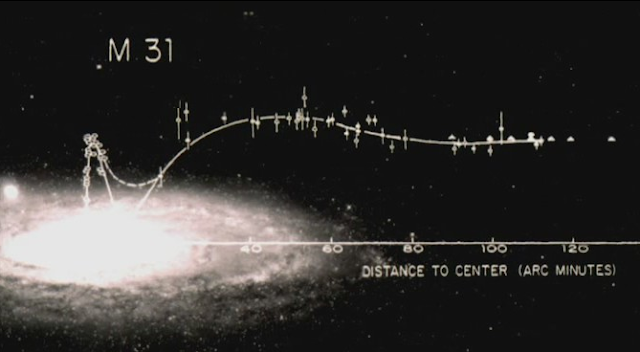 Using Cepheid variables, Hubble was able to directly measure the distances to nearby galaxies. Cepheid variables are stars which also exist in our own Galaxy, where their distances can be directly measured via parallax. Importantly, their intrinsic brightness varies as a function of the period of their variability (days or weeks), so by measuring the period of variation one can get their intrinsic brightness and hence the distance to the galaxy. Edwin Hubble and some of his Cepheid variable light curves. 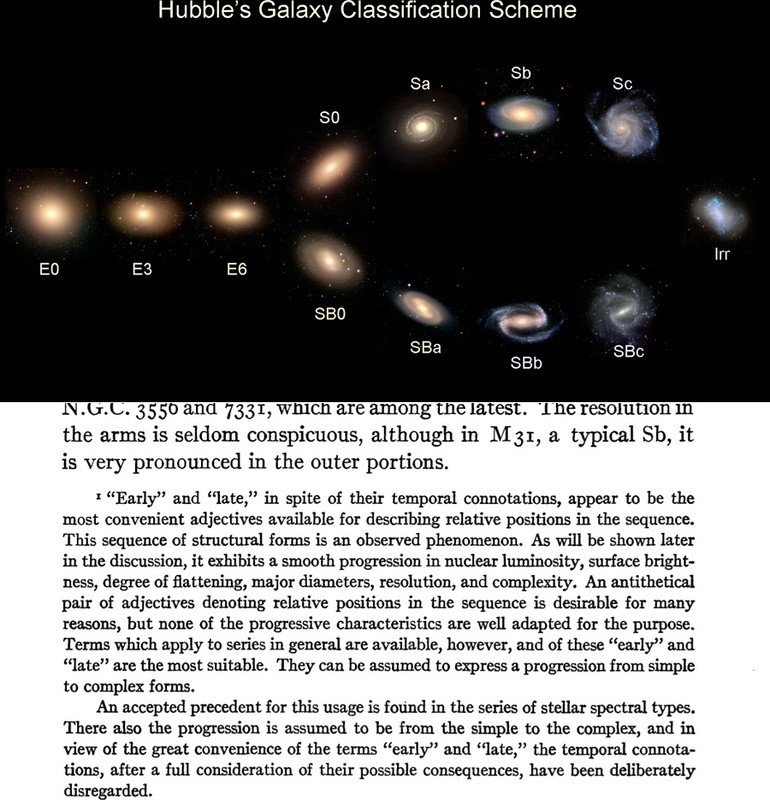 1926 onwards : galaxy taxonomy. Hubble started this with his famous "tuning fork" diagram, which I'll cover in detail in a moment. 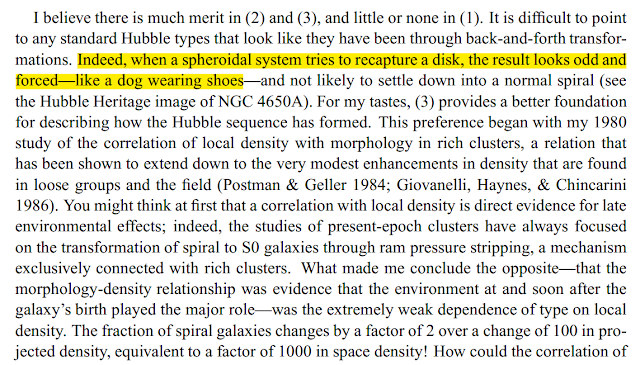 Another popular myth that needs to be dispelled : he never thought that galaxies evolve from the smooth, unstructured "early types" into the complex "late type" objects. He explicitly describes that he uses those terms without meaning to imply any temporal evolution. A modern version of Hubble's famous "tuning fork" diagram (I could not find the original, nor any hint as to why he decided to arrange things in this way) and a footnote from his 1926 paper in which he categorically says, "no, I don't think galaxies evolve from early to late types." Why he didn't just call them "simple galaxies" and "complex galaxies", I don't know. 1929 : Hubble's Law and the distance ladder. 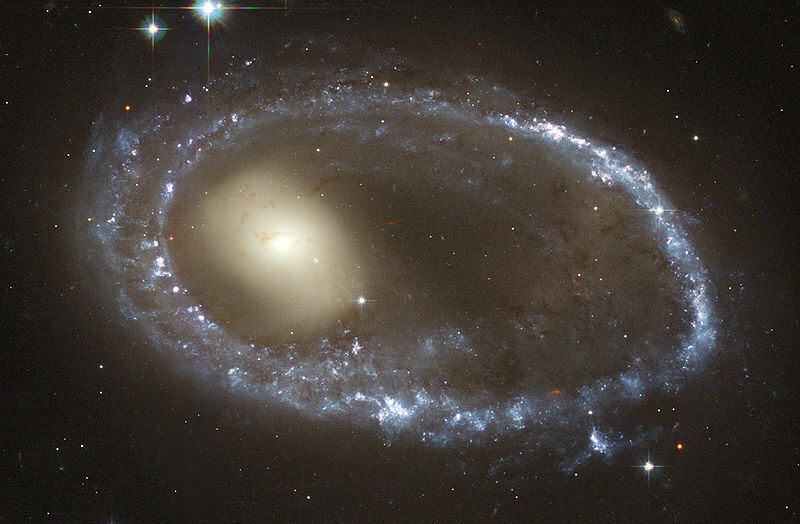 Hubble extended his distance measurements to a large sample of galaxies, finding that their distance was directly proportional to their redshift. This gives the famous Hubble's Law, v = H0d where H0 is around 70 km/s/Mpc. Measuring distances to individual galaxies is still very difficult today, so Hubble's Law lets us estimate the distances for much larger samples (redshift being relatively easy to measure). I'll discuss some caveats to this later. 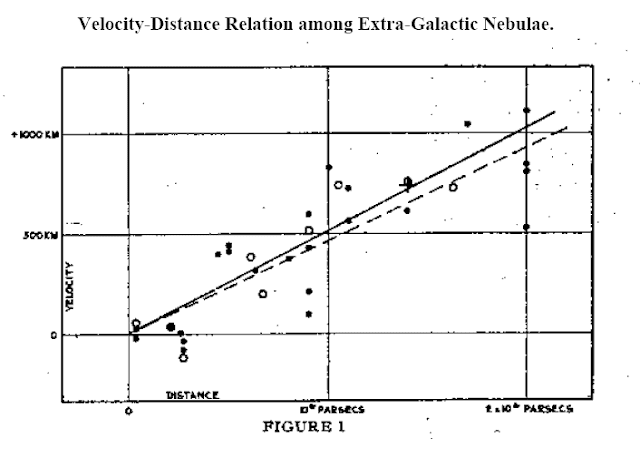 From Hubble's 1929 paper, using more Cepheid variables in other galaxies for the distance measurements. 1932, 1933 : first hints of a darker Universe. 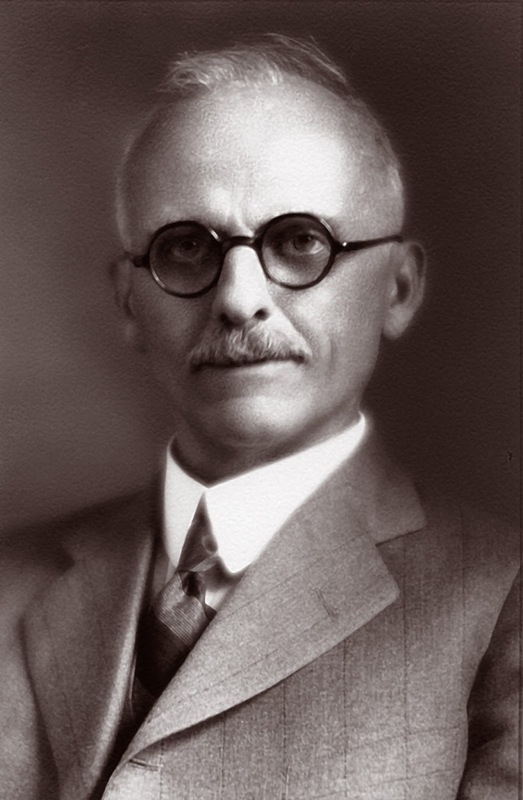 The first indications that there might be more matter than what we can observe directly came from 1932, with Jan Oort's observations of the motions of stars in the Milky Way. Unfortunately his results were flawed. A year later, the notoriously cantankerous Fritz Zwicky (famous for calling his graduate students "spherical bastards", because they were "bastards every way you looked at them") claimed that galaxies in clusters were moving so fast that the clusters should quickly fly apart. These results, so far as I can tell, were accurate. 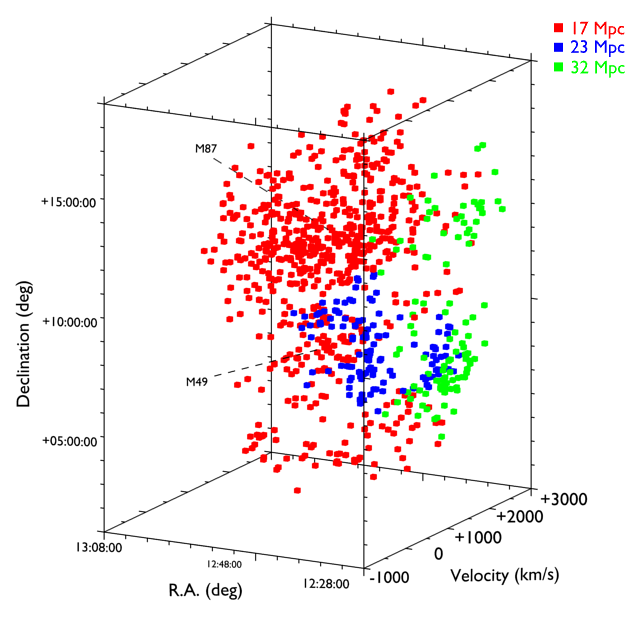 But apart from being a complete jerk, Zwicky's results were based on a meagre eight galaxies. Given that the large-scale structure of the Universe was then very poorly understood (more later), this evidence simply wasn't good enough. Jan Oort (left) and Fritz Zwicky (right). 1932 : First radio astronomy. While there are some highly dubious claims that Tesla detected interstellar radio waves much earlier, credit really belongs to Karl Jansky. Working for a private company who didn't really know what to do with the discovery, radio astronomy initially stalled. 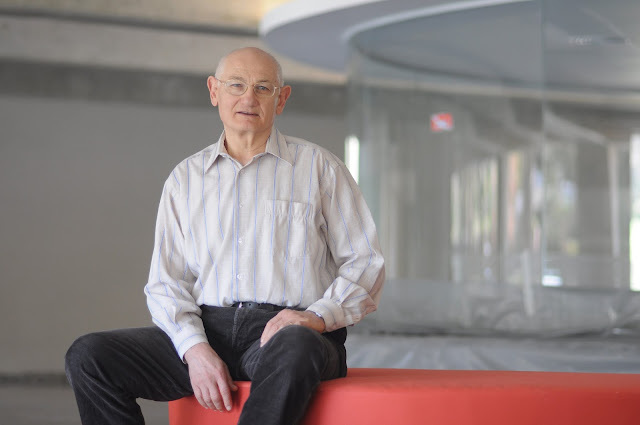 Jansky, seen here as a student in a classic socially-awkward pose (but at least he's not wearing a suit), and a modern reconstruction of his radio telescope. 1951 : First detection of neutral hydrogen. Radio astronomy really starts to get going at this point thanks to the efforts of Ewen and Purcell and their feed horn that can seat at least six students drinking comfortably, of which I of course know nothing. Much more on hydrogen throughout the whole course. Harold Ewen (left) and Edward Purcell (right), together with someone else (middle) and their original feed horn. 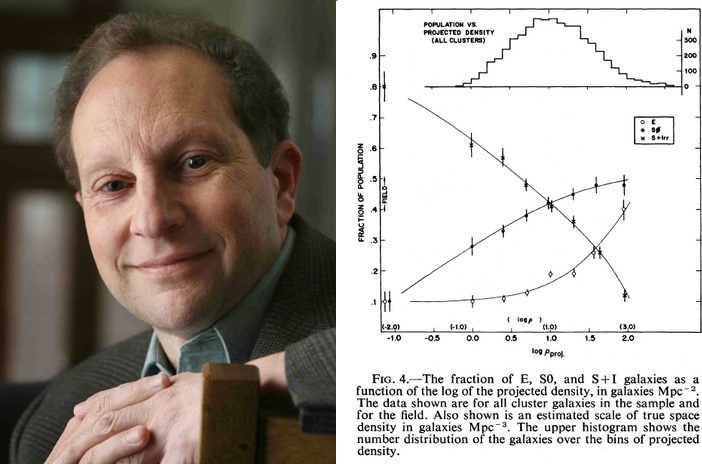 1950's-60's : Big Bang versus the Steady State. Einstein's theory and Hubble's observations had combined to change the view of the Universe from static and eternal to expanding and evolving. 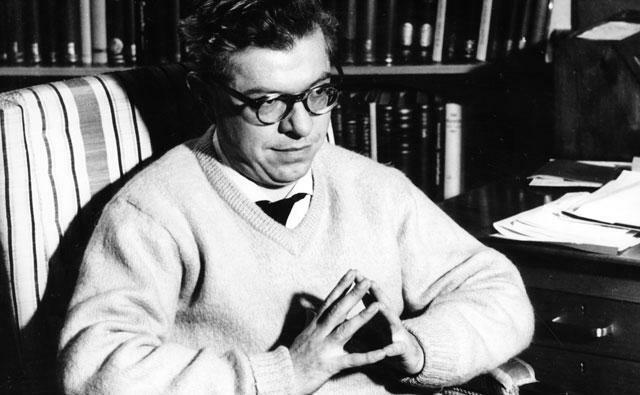 But others, chiefly led by Fred Hoyle, disagreed. Hoyle's idea was that the Universe was expanding but that matter was continuously being created, so that it had been basically the same for eternity. The dispute was pretty much ended with the discovery of the Cosmic Microwave Background, a clear prediction of the Big Bang model which doesn't fit the Steady State idea. Fred Hoyle, who I must say here reminds me of an evil version of the modern day contrarian Pavel Kroupa. 1970's : Stronger evidence for dark matter. 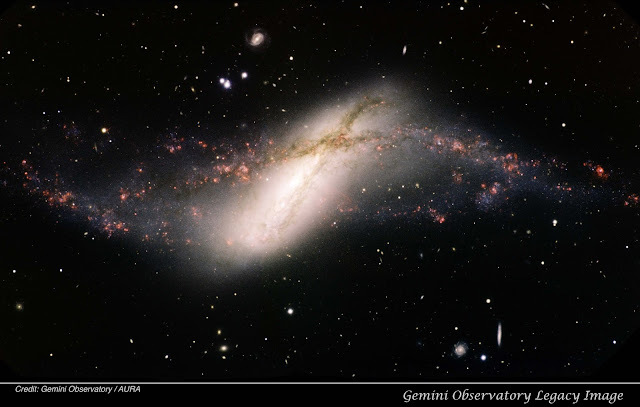 By measuring the rotation of the hydrogen gas in other galaxies, Vera Rubin and others were able to measure dynamics of galaxies with high accuracy for large numbers of data points. Whereas Newton/Einstein's theories predict that the rotation curve should be declining at large radii, in reality they're flat. This was far more convincing than any earlier hints of dark matter - a single rotation curve includes more measurements than Zwicky's sample. Even if dark matter is eventually disproven (which I doubt), Rubin's quote probably still holds true. 1983 : Alternatives to dark matter proposed. Getting astronomers to agree on anything is a lot like herding cats, and not so long after the "discovery" of dark matter, alternatives were being put forward. Chief among them was and is MOND, Modified Newtonian Dynamics, developed by Mordehai Milgrom. More on that in the final lecture. 1985 : Filamentary structure of the Universe discovered. By the late 1970's it became possible to map the redshifts (and so distances via Hubble's Law) of large numbers of galaxies. The first results came through in the early 1980's, revealing that instead of being uniformly distributed, galaxies are actually distributed in a complex network - the "cosmic web" - of filaments and voids. More on that later. 1980 : The morphology-density relation. 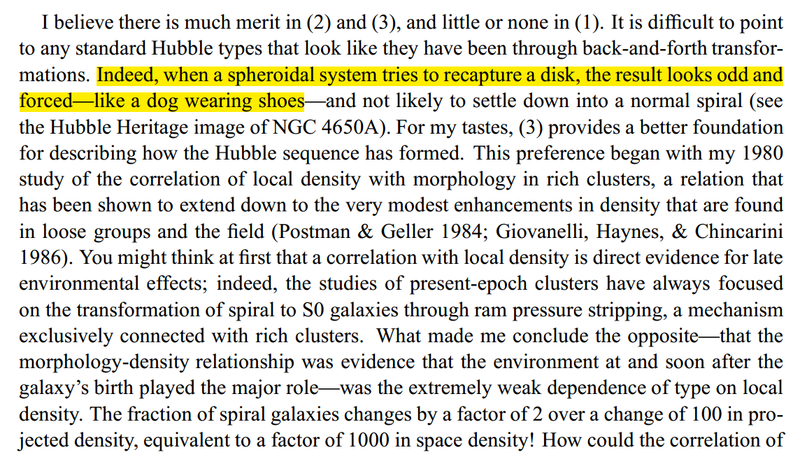 Although perhaps not the first to notice it, Alan Dressler gets the credit for performing much of the early work in describing how galaxy morphology varies with environment. 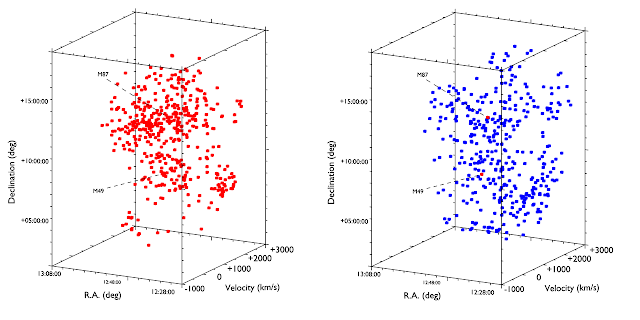 Early-type galaxies (smooth red objects) are generally found in regions of high density, whereas late-type galaxies (blue, structured objects) are preferentially found in lower density regions. This suggests that environment plays a key role in galaxy evolution... perhaps. Alan Dressler and his morphology-density relation. 1985 : Gas deficiency measurements. It now became possible to measure the gas content of large numbers of galaxies. 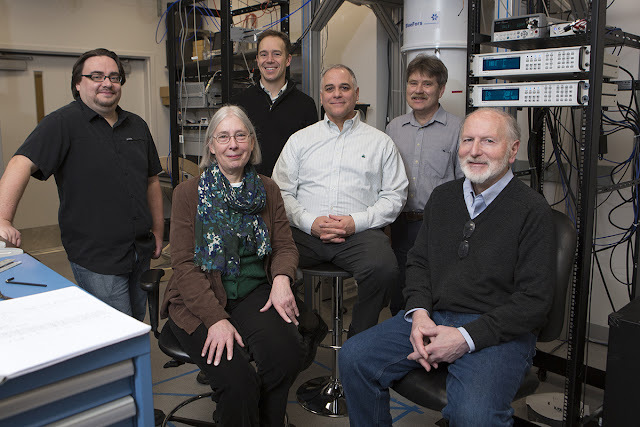 It seemed that galaxies in some environments had less gas than similar galaxies elsewhere, and Martha Haynes and Ricardo Giovanelli (seated, right) were the first to quantify this (see next lecture). 1990 onwards : everything starts to go horribly wrong. Well, not everything of course, but around this time simulations started to find severe discrepancies between theory and observation. Much more on this throughout the lectures. What do galaxies look like ? This seems like as good a place to begin as any. Hubble began classifying nebulae in a more sophisticated way than Messier's "not a comet" approach as early as 1926, before their distant nature was even known. His basic scheme has stood the test of time : early-type galaxies (ellipticals and spheroids) are red and generally - though not entirely - structureless objects, whereas late-types are blue and with much higher contrast features like spiral arms and more irregular structures. He grouped the spirals into two basic types, with and without bars. Irregulars were lumped as a single category, off the tuning fork. Of course, this nice simple scheme couldn't last, because galaxies are far more complicated than that. De Vaucouleurs decided that as well as spirals with and without bars, there were also objects distinct enough to merit their own intermediate category. Thus the tuning fork became a pitchfork. Just two or three main categories : early and late-type, with late-types also being subdivided into spirals (middle column above) and irregulars (right column). Within those main categories, many smaller subdivisions are possible. But don't think of these as being really attempts to pin down even individual galaxies : rather, it's better to think of them as broad descriptions of galaxies on a spectrum. Twenty categories may still seem like a lot, but it's certainly possible to distinguish at least that many - provided one doesn't try and go too nuts, and fret over whether a spiral galaxy might be a type 7 or a 7.5 - you can't really do that*. For reasons that I'll go into at length in the third lecture, such rigour is quite impossible. But these labels do have a convenient purpose and do seem to stand up to scrutiny. * Though you can distinguish whether a galaxy is, say, an irregular with hints of spiral structure (Im) from a blue compact dwarf (BCD). Twenty categories in practise seems to be "about right". 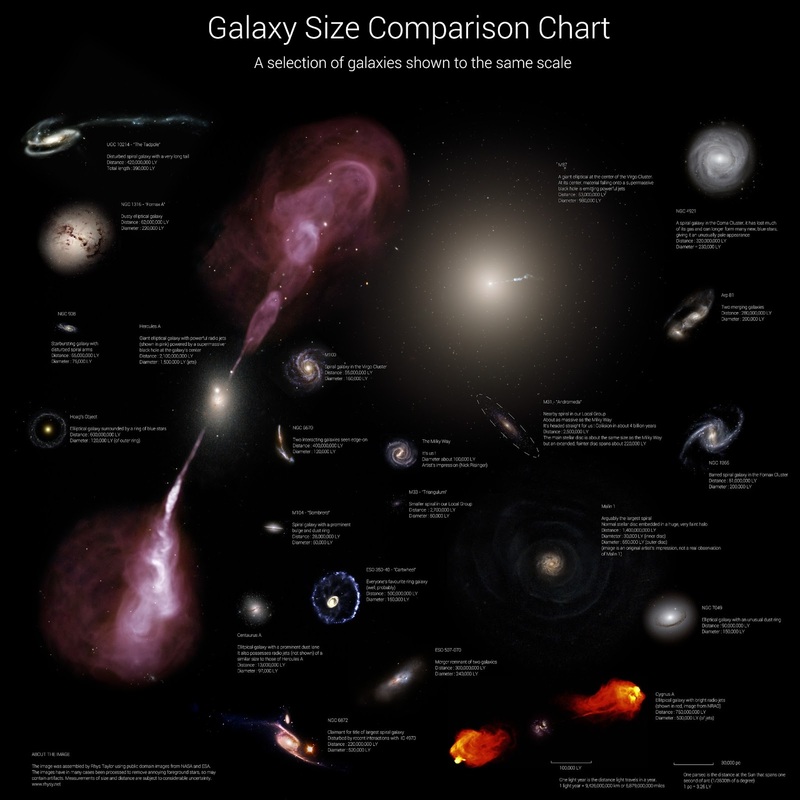 How big are galaxies ? 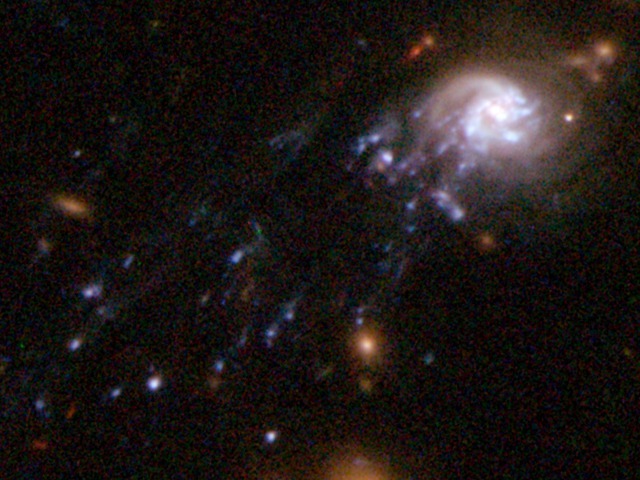 Note that while I've labelled these objects as "dwarfs", and although there's no strict definition of "dwarf galaxy", I'm using the term very liberally in this case. 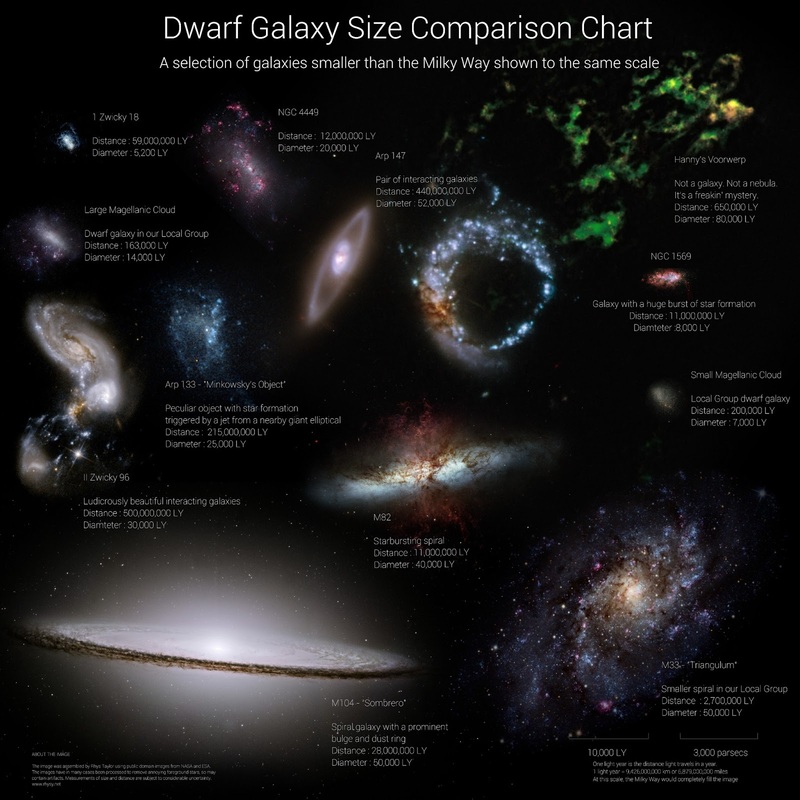 No-one would seriously consider M33 or M104 to be a dwarf. 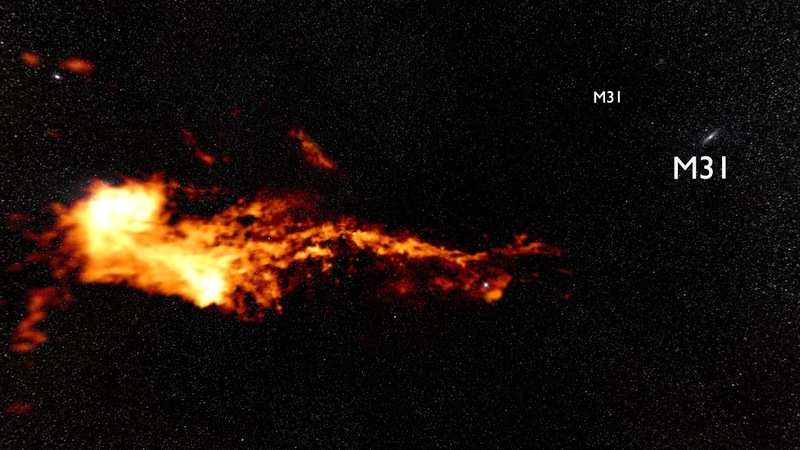 M82 displays some interesting ouflows of material from an active galactic nucleus, possibly the result of a central supermassive black hole or a starburst. Small spirals like this can be just half the size of our Milky Way or even less, while there doesn't seem to be any lower limit on galaxy size in general. 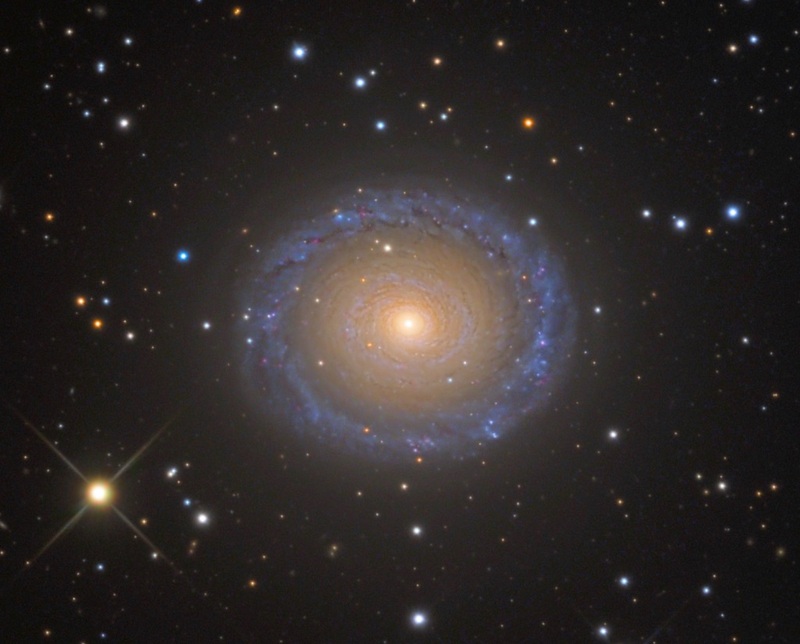 Although there are larger spirals, for the most part their discs are not very much larger than that of our own Galaxy - maybe a factor of two or three at most. Some spirals have much longer stellar tails leading off into intergalactic space, but these appear to be the result of tidal interactions - they aren't innately much larger than the Milky Way. Malin 1 is a very interesting exception - a well-ordered spiral perhaps ten times larger than our own Galaxy. It has a very bright central region but its spiral arms are very much fainter, yet they don't appear to be the result of any obvious interaction. It's also one of the most gas-rich objects in the Universe and deviates from many standard relations. So it's quite the puzzle. There are of course some objects which are significantly larger than our humble abode. 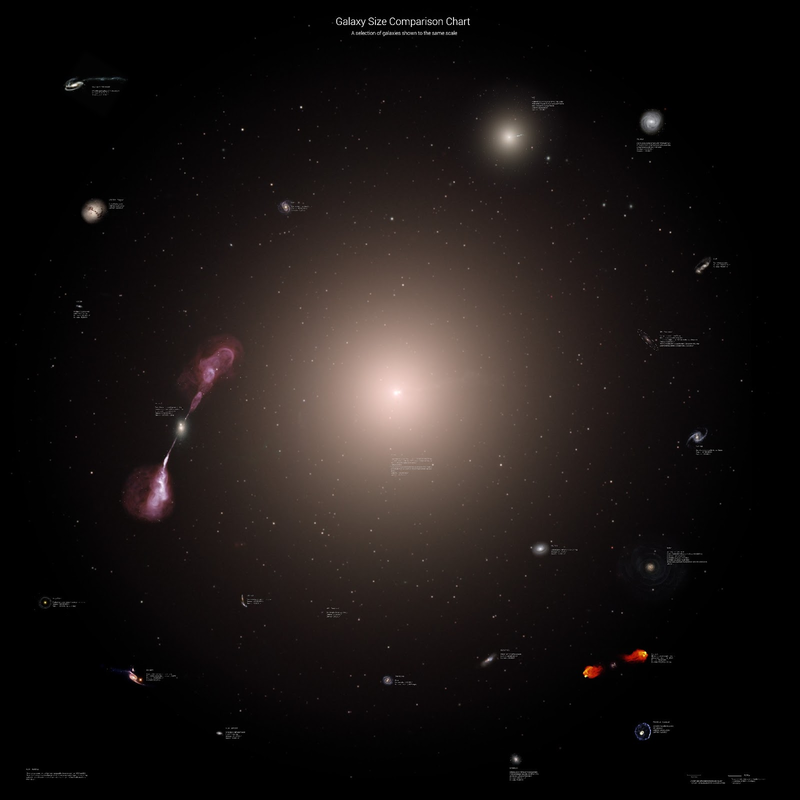 M87, in the centre of the Virgo cluster, is a giant elliptical galaxy - such objects are common at the centres of galaxy clusters. 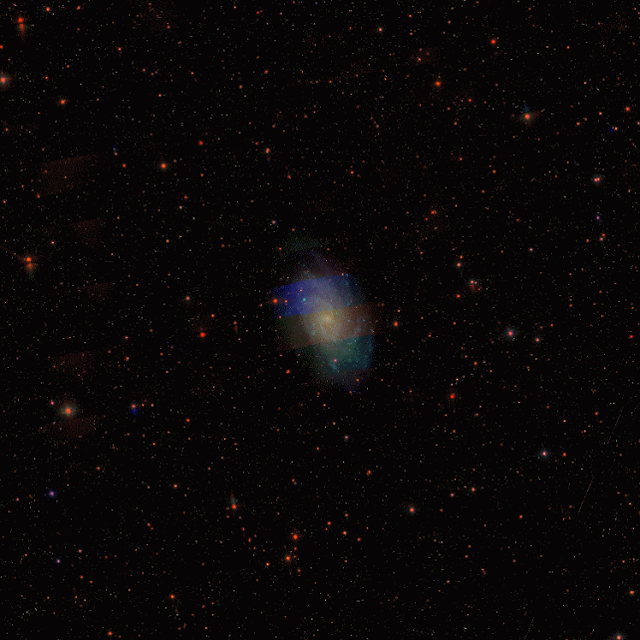 Then there are galaxies with giant radio jets, which come on all kinds of scales up to around a megaparsec in length. These are real gaseous features, but they can only be detected using radio telescopes. So as with tidal encounters, some components of galaxies can become very much larger than the main disc (or spheroid) indeed. But such objects are very rare. 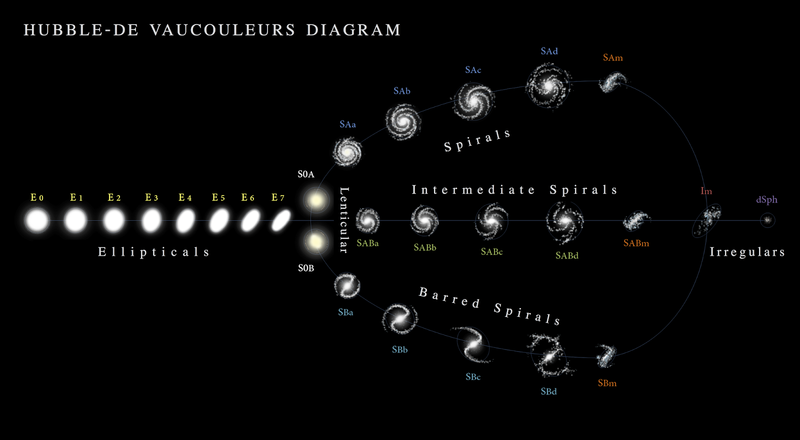 By the standards of spiral galaxies, our Milky Way is in a position respectably close to the top of the heap. If you want a relative scale to remember, take a 1 CZK coin (or a penny, or whatever coin you have that's about 2 cm across). If this is the size of the Milky Way, then 1 Zwicky 18 is about the size of a grain of sand (1 mm). M87 is about 20 cm across (a football), Hercules A (including the jets) is about the size of a pug (42 cm) and IC 1101 is about as long as a T-Rex skull or a typical mouse cable (1.2 m). What colour are galaxies ? Colour is correlated in a complex way with absolute magnitude. That's why a single colour measurement tells you nothing : a bright spiral can be as red as an elliptical, and a faint elliptical can be as blue as a spiral. What do we really mean by "bright" and "faint" ? There's no strict definition. As a rough guide, a galaxy would be generally considered a giant with an absolute magnitude brighter (more negative) than -19 and a dwarf if fainter (more positive) than -14, in the g or B bands. Colour is also well-correlated with morphology. 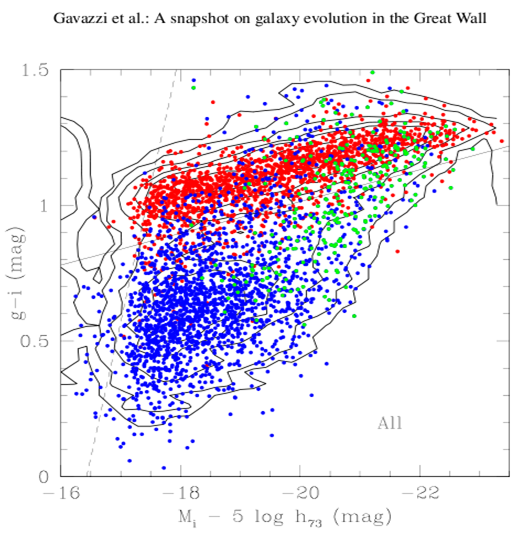 The red sequence is generally composed of early-type objects, whereas the blue sequence (often called the blue cloud) consists mainly of late-type galaxies. Colour is, we think, determined both by metallicity (which I will not refer to much in this course) and star formation activity. Stars do not seem to be usually born in isolation but in clusters, which contain stars over a wide range of masses. The most massive stars dominate the luminosity and are also bluer, but short-lived. So galaxies with a high star formation rate appear bluer. Star formation requires gas. At the zeroth order, this explains why the blue sequence is dominated by late-type objects. Stars are collisionless. Re-using our coin-based scale, if the coin now represents the Sun, then the nearest star would be 576 km away (from Prague, in the Czech Republic, that's the same distance as Verona in the north of Italy). The relative distances are so enormous that stars effectively do not collide, except in rare cases where the densities are very much greater. But the gas fills all of that "empty" volume between the stars. Any disturbance causes the gas to collide with itself, and if its density is sufficient then it can cool and collapse to form stars. The collisional nature of the gas is what's required to both generate high-contrast structures and support star-forming, blue regions. In contrast, if a galaxy exhausts its gas supply (either through star formation or external processes I'll describe later), then there's nothing left to support the existing structures. Gradually the stars scatter off each other gravitationally, and the galaxy fades to become a smooth, "red and dead" object made up only of lower-mass red stars which have long lifespans. There are also objects in between these red and blue sequences, albeit fewer than in the other parts of the CMD. This is the so-called "transition region" or sometimes the "green valley". I don't like either of these terms. Galaxies don't actually appear green, and "transition" suggests a change which is a little bit too confident. There's good evidence that galaxies can migrate from one sequence to another (see next lecture), but we don't actually know this for certain. What's more, some red, featureless ellipticals possess large amounts of gas - as much as the Milky Way. Something seems to be preventing them from forming stars, but we really don't understand why this should be. There are exceptions to every rule, and as yet we don't really know if these indicate the rules are fundamentally flawed or if they're just weird outliers. Where do galaxies live ? 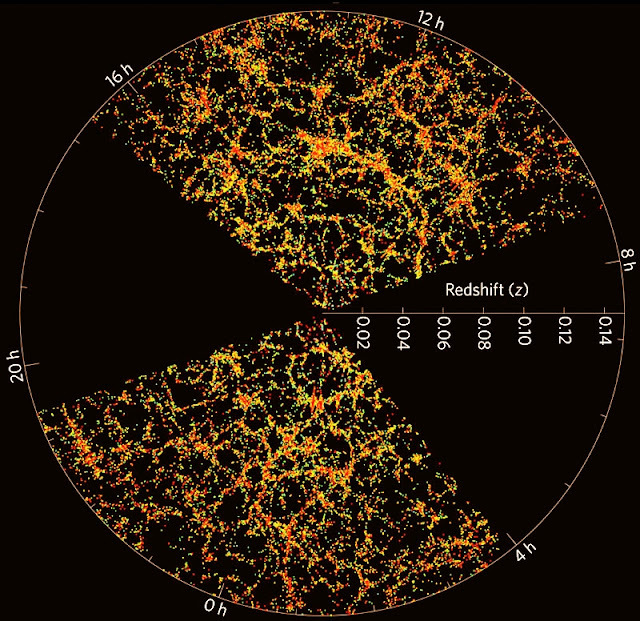 We've already seen that the first large-area redshift surveys revealed that galaxies are distributed throughout a network of filaments and voids. But that was the 1980's. Nowadays we can do very much better than that. 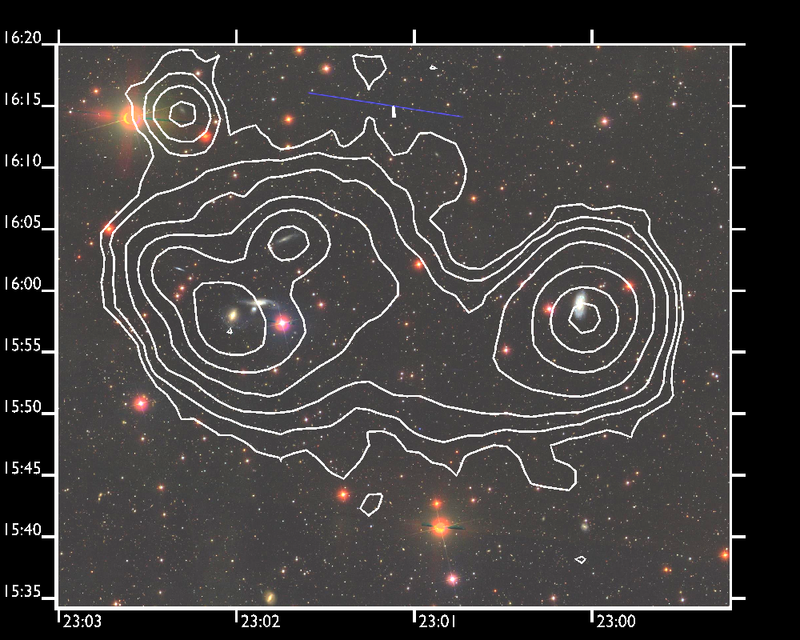 This video shows galaxies with distances measured from the ALFALFA HI survey, measuring distances to galaxies as well as their gas content (see next lecture). The size of each galaxy has been exaggerated by a factor of 40 (otherwise you do see something, but it's very boring) but the optical image of each object corresponds to the galaxy actually present at that position in 3D space. You can see very clearly that galaxies aren't distributed uniformly, but to reveal the cosmic web a better display technique is to use the less-elaborate redshift diagrams. The field. This refers to galaxies found throughout the filaments and voids that are not part of groups or clusters. They are not necessarily entirely isolated, they are just not obviously related to any other local structures or part of a gravitationally bound structure. Groups. This general term refers to galaxies that are members of gravitational bound structures, from a handful of galaxies right up to rich clusters which may have thousands or member galaxies. A cluster might be considered as a type of group, but in other contexts they are distinctly different. The density of the environments can vary dramatically, by perhaps a factor of a thousand or more. So galaxies can experience very different lives depending on which type of environment they reside in. Voids. These regions have the lowest density of galaxies, but they are not entirely empty. In particular, thin filaments (known as tendrils) of galaxies can penetrate the voids. Within those tendrils, galaxy density can vary. 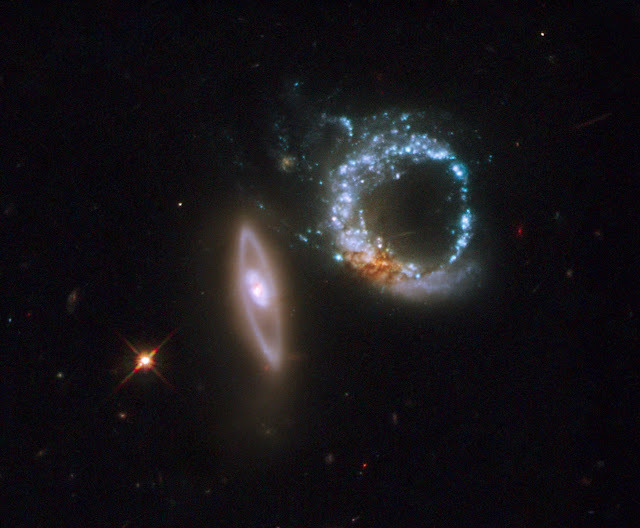 A void galaxy is not necessarily lonely, as we'll see in a moment. Isolated galaxies. These are not the same nor mutually exclusive with void galaxies. 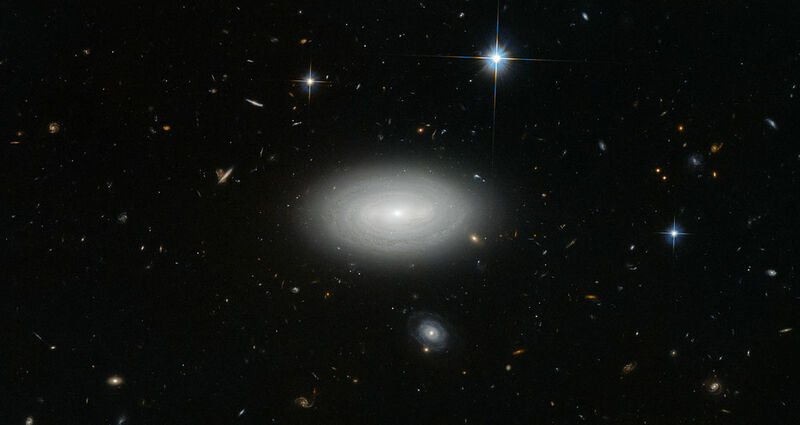 Specifically, an isolated galaxy is defined as one which has no companion galaxy having an optical diameter within a factor of four of its own diameter out to twenty optical diameter's distance. More complex 3D criteria are also sometimes used. Isolated galaxies have probably not experienced much in the way of interactions with other galaxies, though they may themselves be found within filaments (unlike many void galaxies). Pairs, triples and groups. Roughly speaking these may contain up to around a hundred member objects. They are gravitationally bound structures, generally quite compact (say a few Mpc across at most). Rich clusters. May have many hundreds of member galaxies or even thousands in extreme cases. Again, they're typically a few Mpc across, not much more than that. Filaments. ~10-100 Mpc across, these are the largest scale structures in the Universe. Like voids, they are a large-scale environment that can host other small-scale environments : they can be comprised of isolated galaxies, groups and clusters. It's worth re-emphasising these two basic types of environment : local density and large-scale structures. 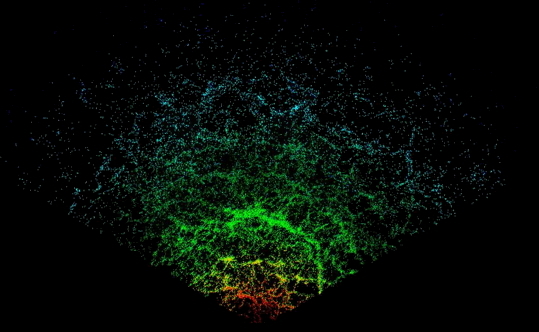 Voids and filaments represent a very different category to groups and clusters. The latter are gravitationally bound structures, in which objects are to some extent all interacting with each other. The former are so large that galaxies within them might never feel any influence from more distant members. They are coherent structures in space, but not really "objects" in a sense that groups and clusters are. How much difference does this make ? We don't know, though I suspect most people would argue that it's the local environment that dominates what happens to a galaxy. Still, the properties of its local environment may well be influenced by its global filament/void context. It's also worth noting that the effects of environment in general are somewhat controversial : the classic question is, "nature or nurture ?". Does a galaxy generally evolve in response to its environment (nurture) or is it more influenced by its initial parameters set down during its formation (nature) ? Of course, we know that both are important, but establishing where the balance lies is very difficult. Galaxies can experience many different internal processes, and disentangling these from the external processes is not easy. Let's look at each of these environments in a bit more detail. The object on the left is clearly experiencing an interaction of some kind, with a long (though faint) stellar tail) leading north-east* which seems to be an extension of a polar ring. The other two objects appear relatively blue but undisturbed (a fourth galaxy, slightly below the other three, is a coincidental alignment of a more distant background object). * By convention, images are displayed such that east is to the right. The three galaxies appear to be embedded in a common hydrogen envelope. This is not at all typical : galaxies typically have gas discs which are more extended than their stellar discs, but are discrete from those of other galaxies. There are two leading interpretations for this feature. The first, and perhaps most obvious, is that the galaxies are tidally interacting and gravitational forces have disturbed their gas. The stellar disturbance of one of the galaxies provides additional evidence for this. The fact that the other two do not show similar disturbances does not present a problem, since the gas is generally easier to disturb than the stars. The second, more radical idea is that we're witnessing gas accreting (cooling and collapsing) from the cosmic web. The idea is that the network of filaments may still contain its own primordial gas that is still slowly falling into galaxies. Personally I'm always a bit skeptical of such ideas : there have been many similar claims, but they're always of a few galaxies which could plausibly be interacting. If this is happening from the cosmic web, then why don't we ever see strange HI streams around galaxies with no nearby companions ? Still, the idea at least deserves consideration. Our own local environment consists of three massive galaxies : us, Andromeda (M31) and Triangulum (M33). Of these M31 and the Milky Way are considerably more massive, and have their own attendant clouds of satellite galaxies. M33 seems to have very few of its own satellites, perhaps none at all. The distribution of satellites around the Milky Way is not isotropic, being much better described as a polar plane (albeit a somewhat fat one). There are claims for a similar plane around Andromeda (though I personally am highly skeptical of this, but I don't think anyone could question the existence of the Milky Way plane). The animation shows a rotation around the Local Group with the Milky Way at the centre. 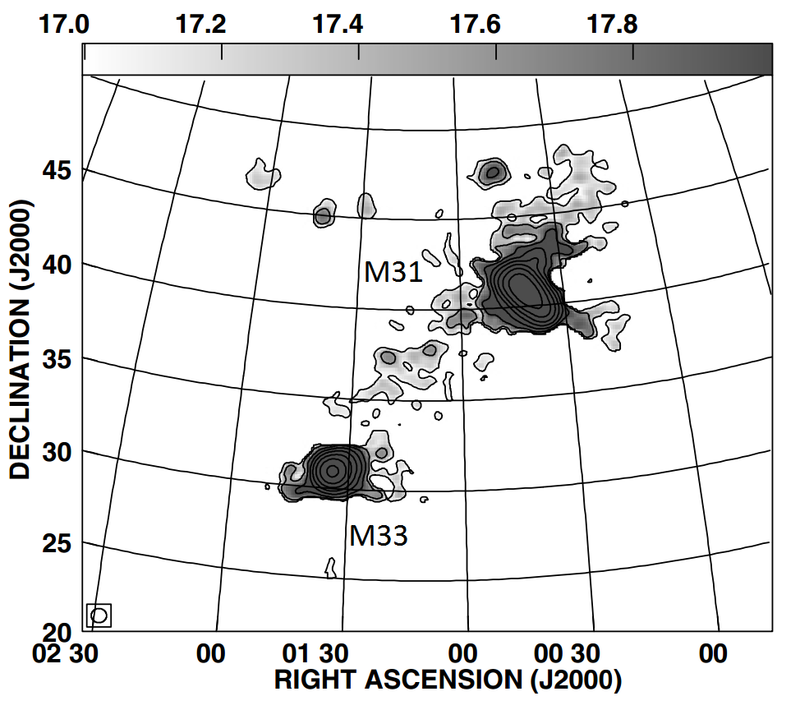 M31 and M33 are visible from the outset, shown at their correct relative size and distance. 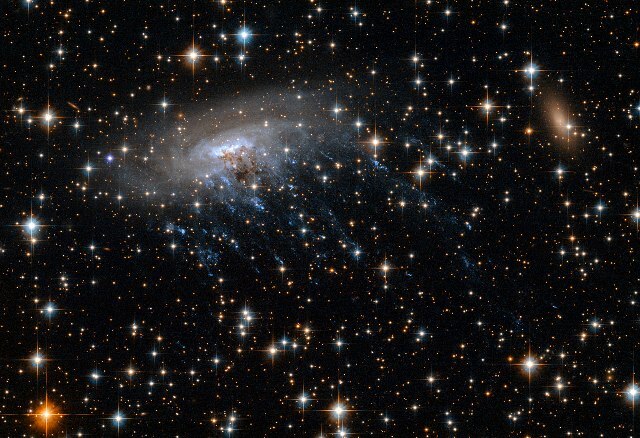 Later the satellite galaxies are added as grey cubes of arbitrary size. 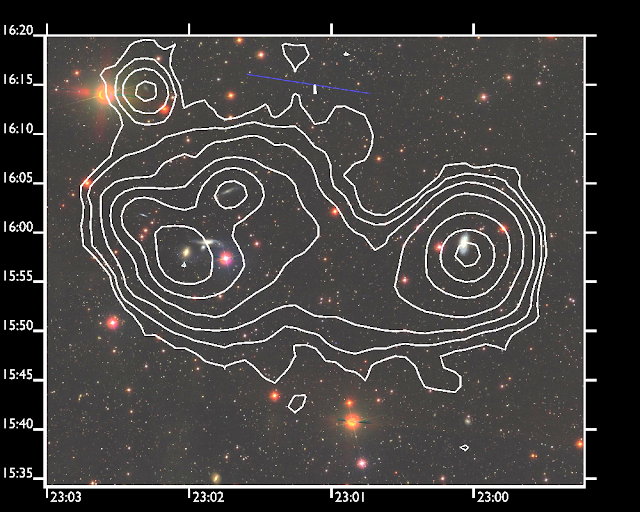 Here it is at optical wavelengths from the Sloan Digital Sky Survey. HI gas seems to be found in two different regimes : dense and thin. The dense HI has column densities above 1021 cm-2, which correlates well with the presence of stars - it seems to be a threshold above which star formation occurs. Here's M33 with the dense HI overlaid. If you want to convert these quite ugly atoms/cm2 units to the slightly more friendly Msolar/pc2, you can use the conversion factor : 1 Msolar/pc2 = 1.258x1020 cm-2. Note the sheer size of the gas. It's far larger in angular extent than the Moon, yet we didn't know about its full extent until a couple of years ago. And this is M33, one of the most-well studied galaxies in the Universe : that's the state of our ignorance. With regards to the gas, at least, we are indeed very much still in nursery. 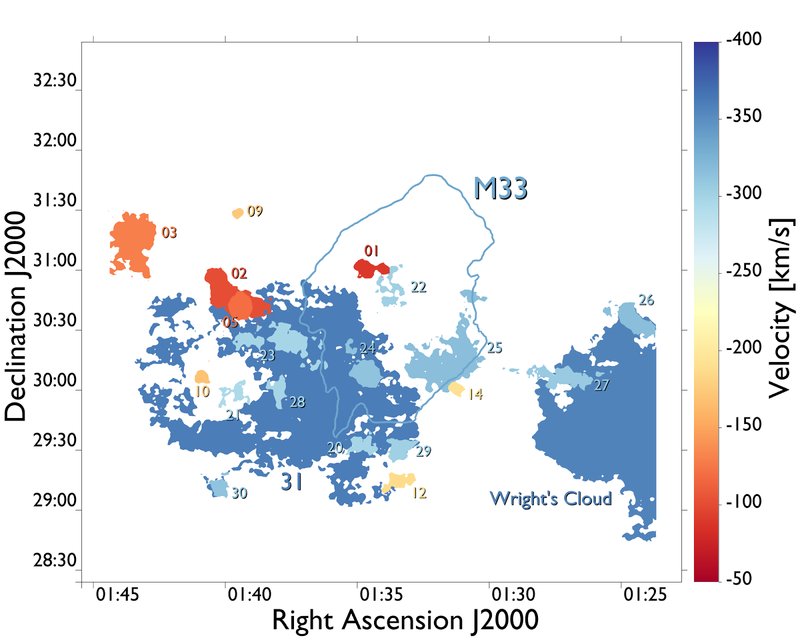 While Wright's Cloud was known since 1979, the second largest cloud (number 31, but we're calling it Keenan's Ring) was only discovered in 2015. Let than sink in. A gas disc as large as M33 sitting right next to it and we only just found it. And its ring geometry is not a trivial feature to explain. It's a genuinely mysterious object for which we currently have no good explanation. On this scale, 5 degrees is about 75 kpc at the ~850 kpc distance of M33. Two explanations have been put forward. The most popular idea is that it was formed by an interaction between the two galaxies, drawing out part of their gaseous discs. A more controversial idea is that it's collapsing primordial gas from the cosmic web : evidence for the dark matter filaments in which galaxies reside. The Local Group contains an even larger HI feature : the Magellanic Stream. This spans about 200 degrees of the sky and is about 180 kpc in extent - it's one of the largest-known of all HI streams. With the Magellanic Clouds found in the densest regions of the gas, these small galaxies are almost certainly the source of the feature. There's some evidence that the Magellanic Stream extends in the direction of M33, in the form of some compact HI clouds, but whether there's any real association to M33 (or Wright's Cloud and Keenan's Ring) is unknown. 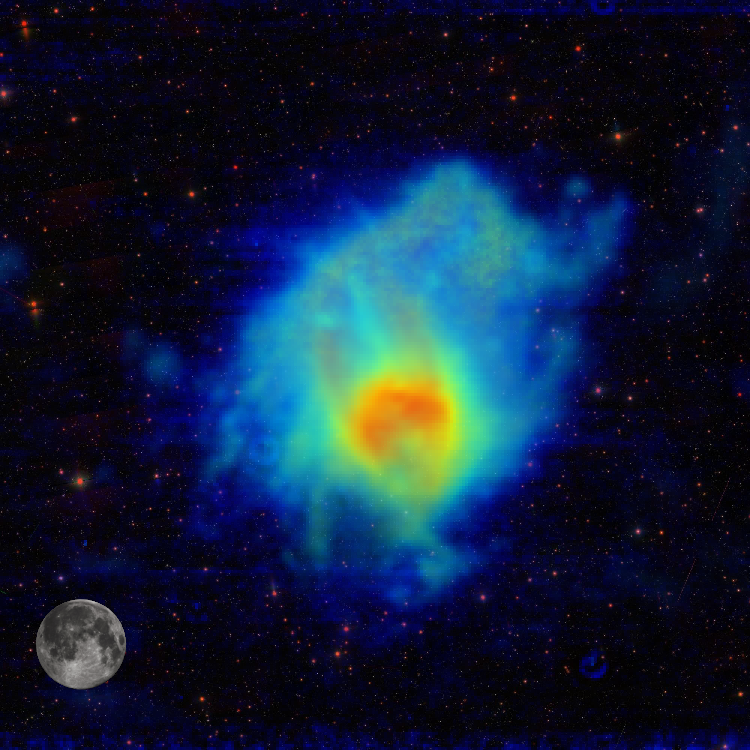 The compact clouds are highlighted in white in the lower view, which shows their redshift rather than spatial position. Confusingly they're not shaded any differently to the rest of the gas in the upper plot, but it seems that they both extend towards M33 and have similar velocities to the stream, indicating that they're associated. The distances in the video are something of a lie, but, interestingly, the overall size of the cluster is about the same as the Local Group - the density is about a thousand times higher. The distances can't be measured accurately in this region, but we think the cluster consists of three infalling clouds. The main body is far more massive and found at 17 Mpc distance, while two other smaller clouds (or sub-clusters) are at 23 and 32 Mpc. We don't really have the resolution to determine distance of individual members - this is a bit more of a statistical assignment. So the mixture of blue and green points on one side is probably a bit artificial. The problem is that clusters have a high velocity dispersion (about 700 km/s for Virgo) so that Hubble's Law is no longer valid - if you use it here, the results wouldn't be inaccurate, they'd be simply wrong. The reason for this is that the cluster has so much mass (about 1014 Msolar) in a small volume. Looking at the early-types, the cluster's structure of three clouds is very clearly visible. From the late-types this structure disappears almost entirely. This is a manifestation of the morphology-density relation : late-type galaxies are less clustered than early-type objects. That suggests an environmental influence, with the cluster accreting late-types from the field and transforming them as they sink deeper into its gravitational well and become bound to it. And it is very interesting : there are quite a few very large, dramatic HI streams - one of which is 500 kpc in extent. And yet... overall it's not that impressive. 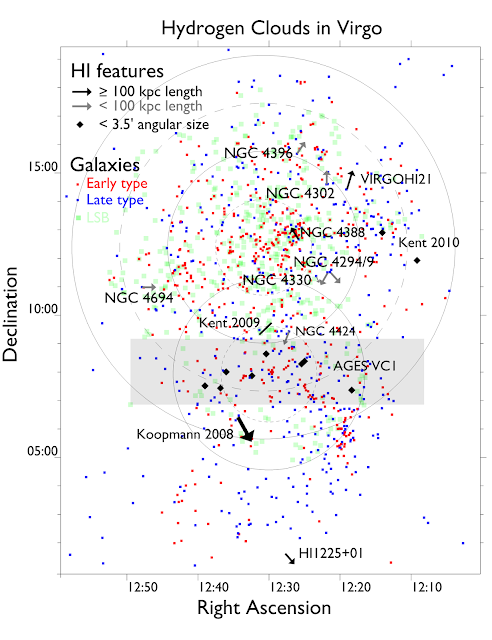 There are around 400 galaxies detected in HI in the cluster (about 450 late-types in general) but only 11 streams. Compare that to the Local Group, which contains three massive galaxies and two giant streams. 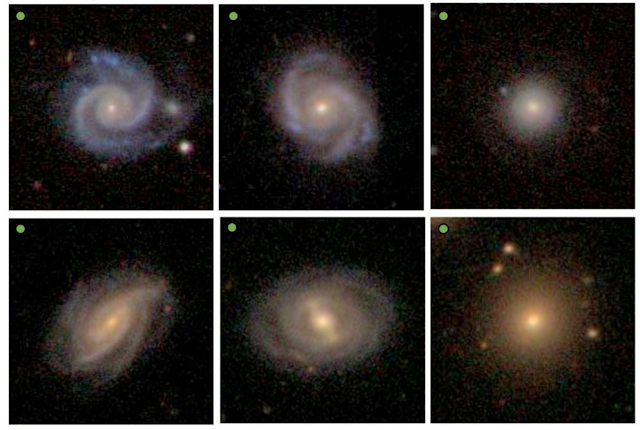 What's more, we know that galaxies in the cluster have lost large amounts of gas compared to galaxies in the field, but there's no correlation between which ones have lost gas and the presence of a stream, or the amount of gas they've lost and the mass in the associated stream if there is one. We don't really understand what's going on here. 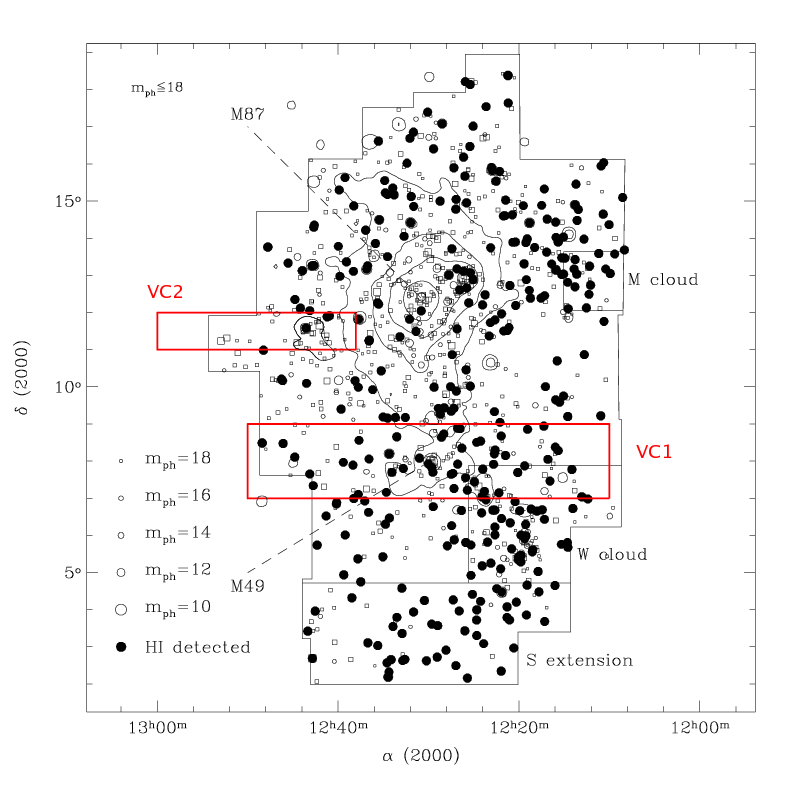 The cluster also possess another key component : hot, low density gas detected in X-ray emission. This ionised material belongs to the cluster itself rather than any individual galaxies, being found throughout a large fraction of its volume. It's this component that really distinguishes clusters from groups. Groups might have a small amount of hot ionised gas, but not to the extent that it's so readily detectable in X-ray emission. X-ray gas from the ROSAT satellite shown here with contours. Finally we come to the largest environments of all. At ~10-100 Mpc across, they have a fundamentally different nature to the other environments : they are, like voids, the context in which the local environments are found. They can be comprised of isolated galaxies, groups and (unlike voids) clusters. Although simulations clearly show that they form as a result of dark matter, they are so large that cosmic expansion strongly affects them. They are not gravitationally bound structures : as the Universe expands, they will eventually disperse. They are presumed to contain very low density primordial gas, a prospect which new evidence has recently greatly strengthened. So while it might be hard to define an exact boundary of clusters, they are clearly very discrete environments which are markedly different from other parts of the Universe. This seems like a good place to pause and take stock of the basics of these very different environments. This will help understand why different environmental effects dominate in different regions. Voids have a very low but non-zero galaxy density. They are a large-scale, contextual environment. Being in a void does not mean a galaxy is necessarily isolated : the few galaxies they contain are distributed along thin filaments called tendrils, so that the local density can be quite high. 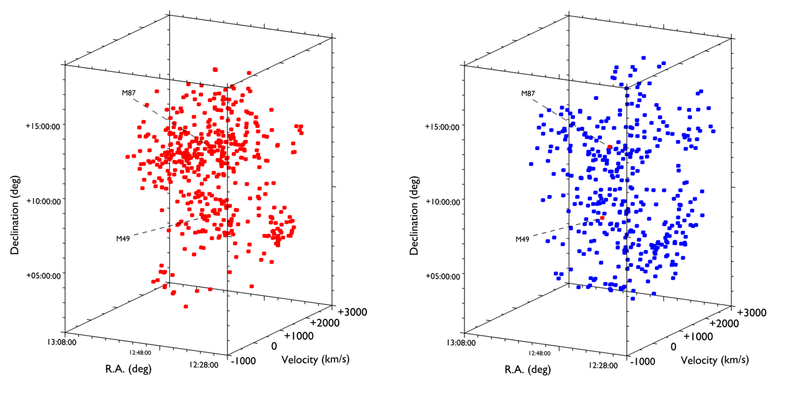 Their velocity dispersion is essentially negligible. MCG+01-02-015, an example of a void galaxy... at least according to Wikipedia. Isolated galaxies do not necessarily live in voids. Of course, being isolated and being in a void aren't mutually exclusive, they're just not necessarily the same thing : isolated galaxies can also be found in filaments, but not in groups or clusters. Wherever they reside, isolated galaxies have probably been quietly minding their own business for billions of years. 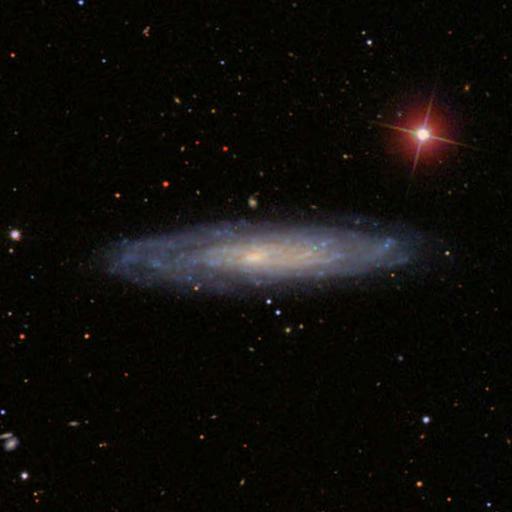 NGC 5523, an isolated galaxy described in detail here. Groups consist of a few to a few tens of member galaxies. They have low velocity dispersions (~200 km/s) and total masses (~1013Msolar), with a physical extent maybe ~1 Mpc across, perhaps slightly more. They have little or no hot external medium, but extended HI streams are very common features. 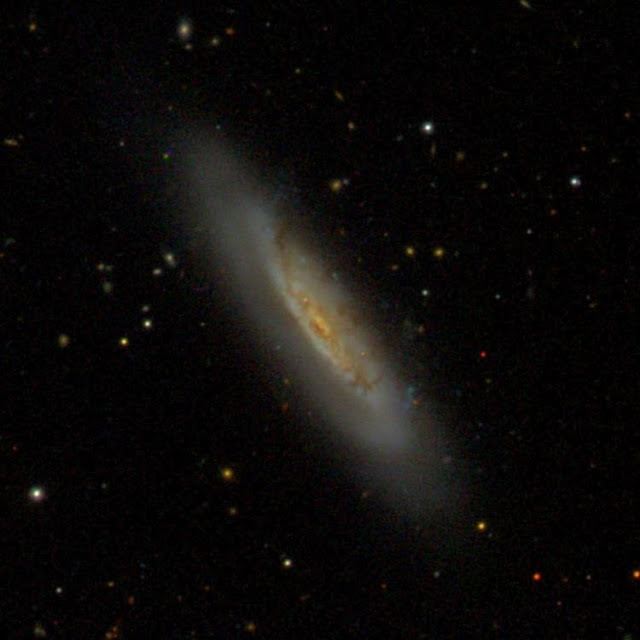 Another galaxy group, NGC 7448, showing a very extended HI envelope around multiple interacting galaxies. Original paper here. 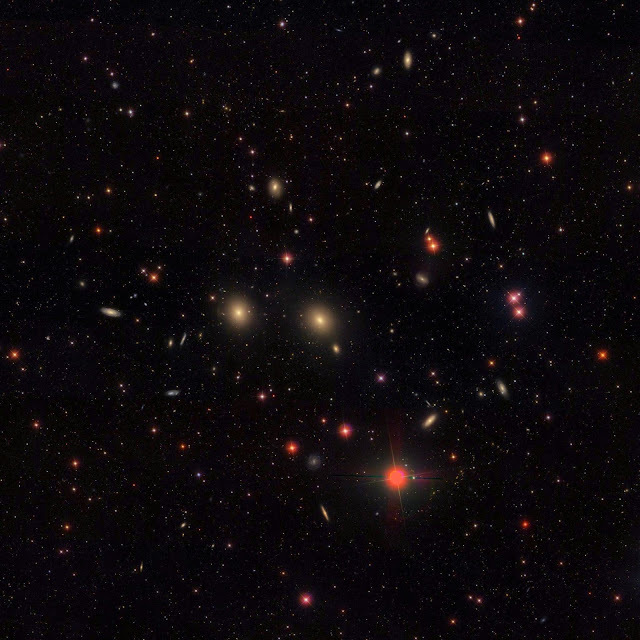 Clusters are the richest, most massive structures, containing tens to thousands of members. They have a high velocity dispersion (~800 km/s), a high total mass (~1015Msolar), but are not usually much more extended than groups (maybe a few Mpc across). They seem to contain little in the way of extended HI features (though they are not entirely absent) but, unlike groups. possess their own hot, low-density intracluster medium. A borderline object, the NGC 7619 Pegasus group/cluster shows the morphology-density relation quite nicely by eye, with the centre dominated by ellipticals while spirals are more prominent in the outskirts. Hot accretion. This happens when gas cools very slowly (or is continuously heated), falling into a halo isotropically. It's thought to be important in massive halos, where the shock heating caused by the infall means that tcool >> tfreefall. Cold accretion. If tcool << tfreefall, then the gas becomes cold and dense and falls into a halo along narrow streams. It's thought to be important for lower-mass halos since the shock heating effect is much weaker. It's sometimes invoked to explain HI streams in voids and galaxy groups, but is probably impossible in clusters due to other effects at work there. Mergers and interactions. A galaxy can have its gas content increased by another more gas-rich galaxy. 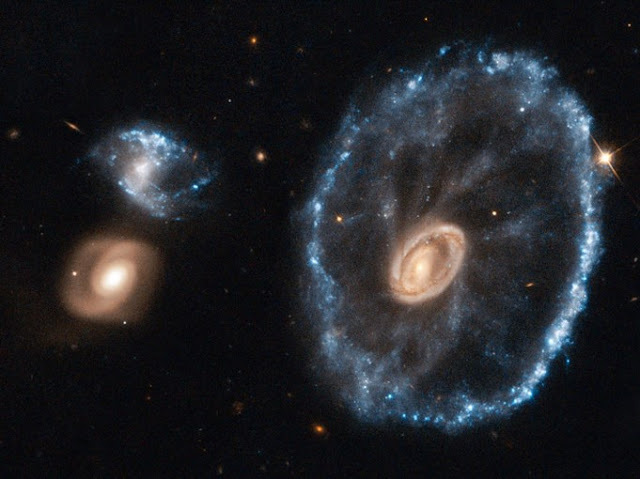 This can happen if either the two galaxies merge or (less effectively) if they interact more weakly, with the outermost gas of one galaxy being disrupted and partially acquired by the second galaxy. 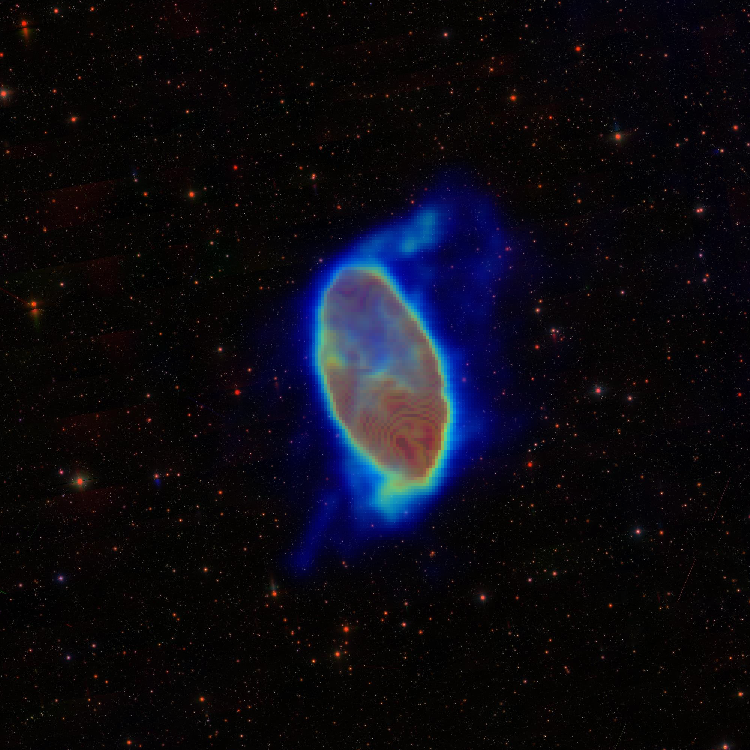 During the process, some of the gas is likely to be consumed by star formation thanks to the increase in density. Mergers are more likely at low relative velocities (since if the velocities were too high the other galaxy would simply escape; for our galaxy this is about 500 km/s at the solar radius but the details are complex), and it's thought that low velocities also make for more effective tidal interactions. Removing gas. Several different processes can decrease the gas content, and these are not mutually exclusive with the processes that increase the gas supply. Internal processes. These are usually covered in detail in separate undergraduate courses so I will mention them only in passing. Supernovae, stellar winds (especially from hot, young, massive stars) and active galactic nuclei (both starbursts and jets from supemassive black holes) can eject gas well above the galactic disc. 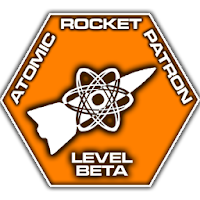 The ejection speed may exceed the escape velocity, in which case the gas is gone forever, or it may be just enough to eject it into the halo but eventually it may be re-accreted. So these mechanisms may act as a "galactic fountain", redistributing gas from one part of the galaxy to another. Tidal encounters. While one galaxy might gain gas during an encounter, the other loses it. Most damage is done at low relative velocities. This always seemed counter-intuitive to me, because normally we think of collisions as being more damaging at higher energies. But a tidal encounter is not much like a physical collision : damage is done by changing the velocity of material, hence changing its orbital trajectory. Since the damage is done through gravitational acceleration, the longer the encounter lasts, the longer the galaxy experiences an external force and the greater the change in acceleration. There is now some evidence that high velocity encounters can also cause damage, but still low velocity encounters are thought to dominate. Harassment just refers to a specific type of tidal encounter : repeated high velocity encounters usually by lower-mass galaxies. This is found only in clusters as other environments have fewer galaxies and lower velocity dispersions. The idea is a sort of "death of a thousand cuts" - each individual encounter might not do very much, but collectively they can cause major damage. Ram pressure stripping. Although the external gas in galaxy clusters is very thin, the motion of a galaxy through it causes an increase in the pressure, which can become strong enough to push out its own gas content out. This is a hydrodynamic rather than gravitational effect - other such processes, like viscous stripping and thermal evaporation - also exist but are now thought to play only a minor role. Ram pressure is thought to dominate in clusters since its strength is strongly determined by the velocity of the galaxy through the external medium. However, it may also play a role in galaxy groups - at least for dwarf galaxies. Individual giant galaxies are thought to possess their own hot halos, albeit at a lower density than in clusters but sufficient to perhaps strip dwarf galaxies which get too close. Two of these processes, tidal encounters and ram pressure stripping, are generally reckoned to be extremely important for galaxy evolution, so it's worth examining them in a bit more detail. This image is from the "Galaxies Gone Wild" press release, which is worth examining to get a feel for some of the bizarre structures that tidal encounters can induce. Tidal encounters are highly complex and their effects depend very strongly on the geometry of the encounter. They can cause essentially arbitrary amounts of damage to both the stellar and gas content of the galaxies involved : if conditions are just right, they can completely obliterate a galaxy. More typically, however, the amount of gas/stars lost might be of order a few percent. Since they are a purely gravitational process, they can change the galaxy's kinematics, altering the velocities of all of its internal process and causing them to deviate from normal relations. Galaxies do not necessarily have to merge to suffer severe tidal damage, although of course a merger is (for one galaxy) the most destructive process it can experience. But even a close flyby can eject gas and stars into spectacular, complex streams hundreds of kpc in extent. Some of this material might fall back to its original parent, but much can also be thrown permanently into extragalactic space. Slow encounters are generally more damaging than encounters at high relative velocities, as has been mentioned. The effects are complex and cannot really be quantified analytically. For example, if the relative velocity and distance are just right, the perturbing galaxy may be moving "in sync" with material in the target galaxy, effectively lengthening the duration of the encounter and increasing the damage. Encounters are also generally more damaging if the interloper is moving roughly along the plane of rotation, since in this direction material in the target galaxy is already moving with significant velocity (so it doesn't need that much of an extra pull to reach escape velocity; whereas in the vertical plane its initial motion will be much less). Finally, the damage to each galaxy is not necessarily equal, and to make things even more complicated, the gas and stars may be affected differently since they are distributed differently. All these factors make tidal encounters very difficult to assess analytically, and the examination of individual systems which have apparently been subject to their effects really requires a numerical simulation. Ram pressure stripping is a hydrodynamic effect, dependent on the gas properties rather than the mass of of the objects involved. As a galaxy moves through an external medium (typically the hot, thin gas in a cluster), it builds up a "ram pressure" as the external gas is compressed. Once this pressure exceeds the gravitational restoring force of the disc, the galaxy loses gas. This effect can be modelled analytically, though the precise details of the resulting gas distribution require simulations. Ram pressure is somewhat stronger if it occurs face-on, since more of the disc is exposed to the external medium and there's less of the galaxy's own gas behind it to push it back. However this effect is rather weak, and stripping can occur at any angle (though the detailed hydrodynamic effects, e.g. turbulent motions, become more dominant at angles close to edge-on). In principle ram pressure affects all gas components, but in practise it's far more significant for HI than for cold molecular hydrogen (H2). The density contrast between the two is extreme, roughly speaking a factor of millions - a bit like comparing iron to air. So the cross-section presented by a molecular cloud is very much lower than that of the HI gas, making it very hard to strip. 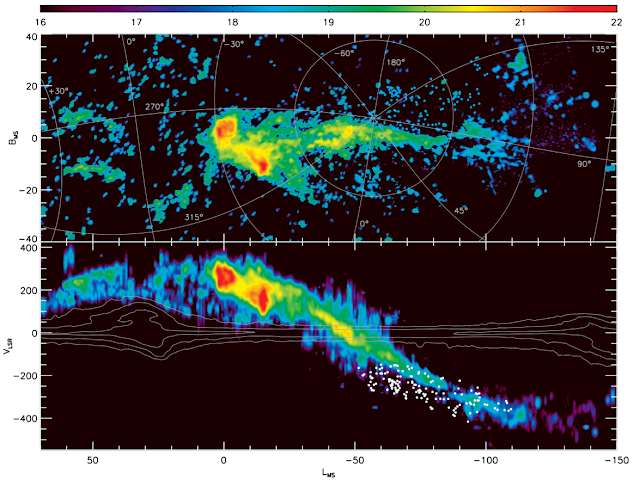 Nevertheless, in extreme cases this does seem to occur, with even the dust being stripped in the above image of NGC 4522. The strength of the stripping scales as v2, essentially the opposite situation to tidal encounters : ram pressure not only needs a high velocity (since the external medium is generally very thin) but it increases in strength as the velocity increases. This means it dominates in clusters : their high velocity dispersions favour ram pressure while weakening the effects of tidal encounters. While cluster velocity dispersions may be ~800 km/s, the motions of individual galaxies can be ~2,000-3,000 km/s through the intracluster gas. This can cause a ram pressure sufficient to completely strip a dwarf galaxy's gas on a single pass through the cluster centre (where the gas density is highest), and even giant galaxies can have their gas severely or entirely depleted on a few orbits. 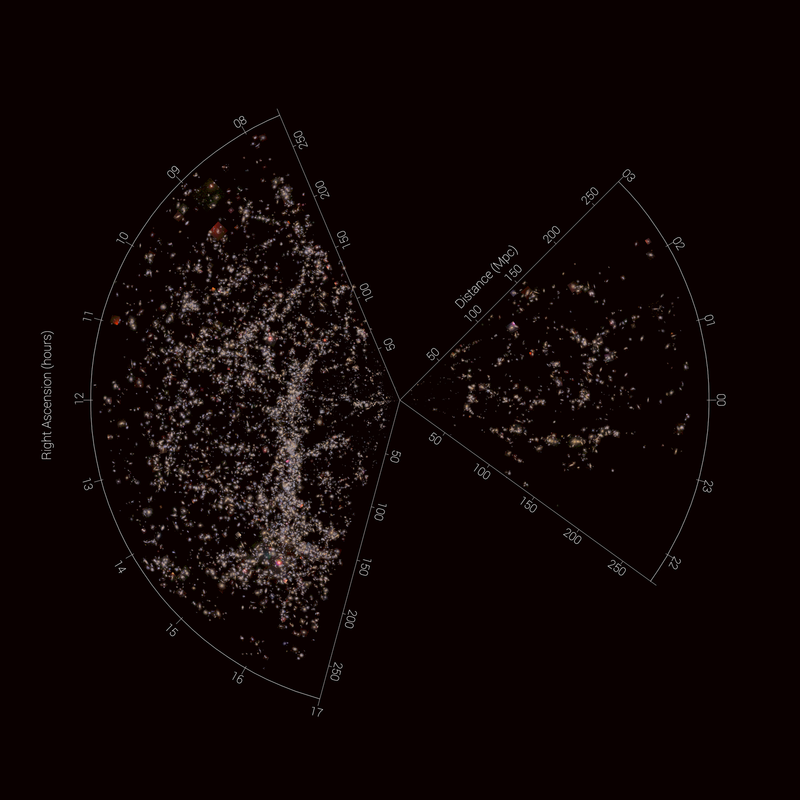 This is a map from the VIVA HI survey of the Virgo cluster. 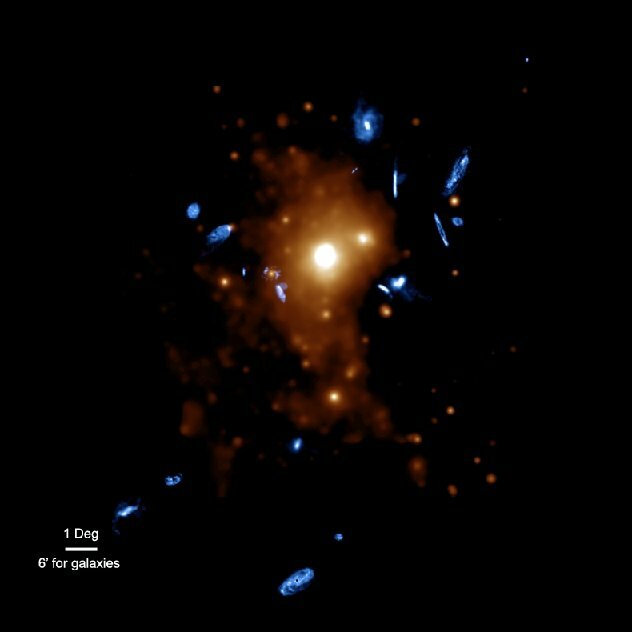 The intracluster medium from X-ray satellite observations is shown in orange while the HI discs of targeted galaxies is shown in blue, with their sizes greatly exaggerated (though by a constant factor). 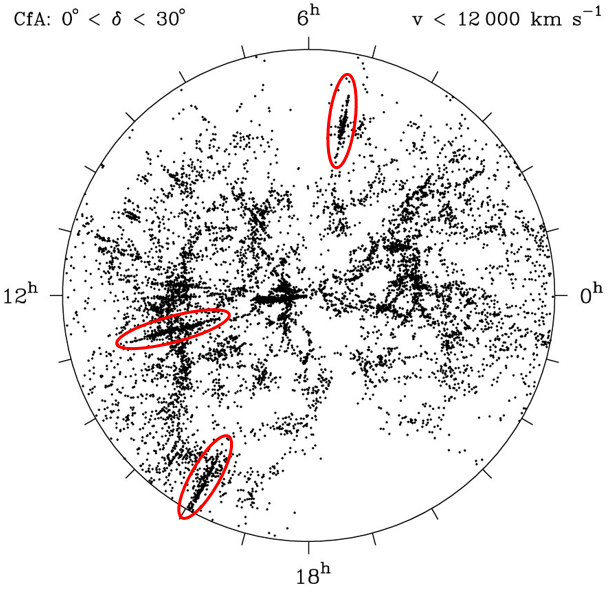 Galaxies toward the cluster periphery tend to have normal HI discs, sometimes showing one-sided tails. Those closer to the cluster centre tend to have truncated HI discs, smaller than their optical component (opposite to the usual situation), indicating that ram pressure stripping has likely removed their low-density outer gas discs. Quantifying this can be tricky. The ionised gas detected could be from hot young stars but it could also be from a more diffuse component. We've detected molecular gas in some stripped features, but measuring the mass of molecular gas is not at all straightforward so we aren't sure how much of it there is, much less if it formed from the stripped HI or was stripped directly. So the fate of the stripped gas still has many uncertainties. Does environment really matter ? Or rather, how important is it ? 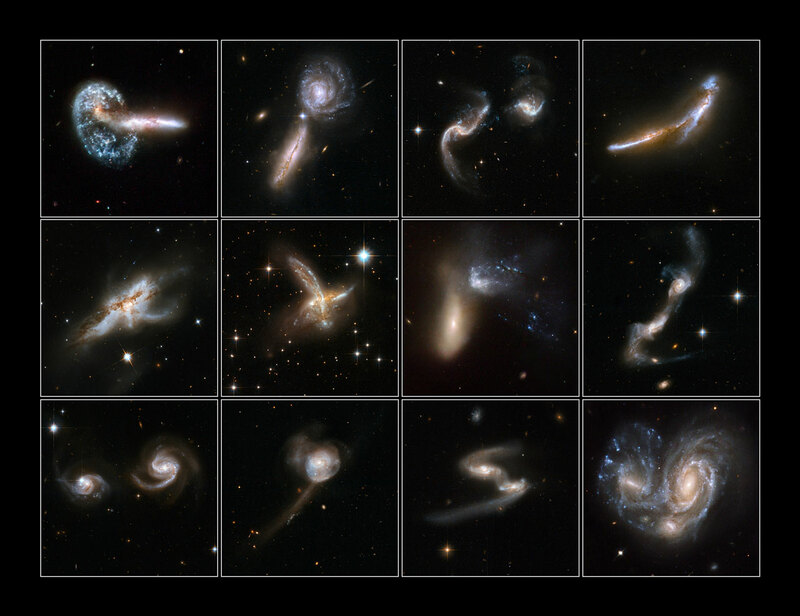 Clearly it does have an effect - we can see galaxies caught in the act of changing, sometimes losing gas and other times distorted into fantastic shapes. But are these brief but important moments that are common to all galaxies - galactic puberty, if you will* - or are they just extreme, highly unusual outliers ? * I didn't say that in the original lecture but I wish I had. We don't really know. We know Hubble type does change, but we don't know how often - which means it's hard to say if internal or external processes dominate the change. We think we know where the change happens, thanks to the morphology-density relation, but the interpretation of this is more ambiguous than you might guess. Now you or I might see this and conclude that surely environment does matter, because there's such a strong, neat correlation between morphology and environment. Which leads naturally to the question, what about this dog wearing shoes ? Isn't he just adorable ? ALAN DRESSLER DOESN'T THINK SO ! Despite quantifying this morphology density relation in detail, he doesn't interpret it the same way many (probably most) other people do. In fact he's very much against the role of environment in transforming galaxies. He notes that in cases where it's very obvious that an interaction is causing a morphological change, "the result looks odd and forced - like a dog wearing shoes". Well, I think it's a beautiful galaxy, anyway. But Dressler also notes that the morphology-density relation is actually rather weak. He argues that the proportion of spirals only changes by a factor of two despite a change in galaxy density of a factor of a thousand from the cluster interior out to the field. Something about this just doesn't ring true to me, so I'll finish with a philosophical question - one which I won't attempt to answer, because I can't. Here it is : is a change of from 1% to 2% as significant as a change from 50% to 100%, or do those numbers indicate something fundamentally different about each scenario ? 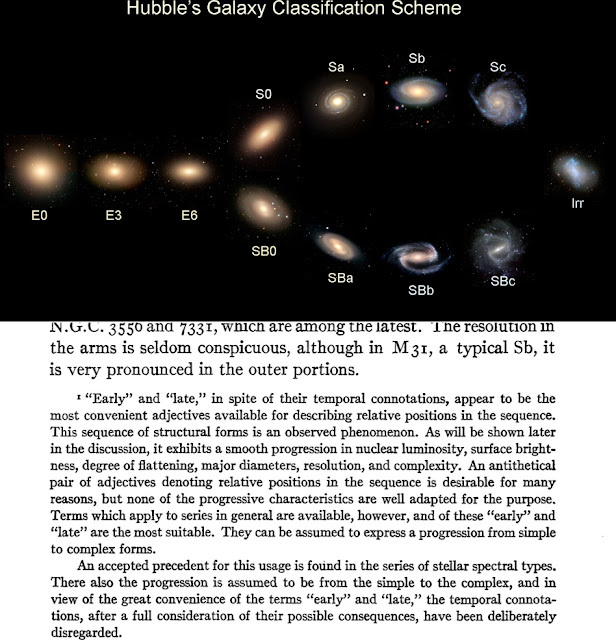 Even though I disagree with most of it, I highly recommend Dressler's 2004 conference proceedings, "Star forming galaxies in clusters" for further reading material. This is written in a very accessible and lively way, and, in contrast to what I've tried to present here, concentrates on galaxy evolution over cosmic time rather than as a function of environment.